Shen Nung created the Pen Ts'ao, or "Divine Husbandman's Materia Medica." It's basically a pharmacopoeia describing how to create remedies from drugs and plants to treat various diseases. He was the first to mention using the plant Ma Huang for treating respiratory disorders. The leaves and/ or stems of the Ma Huang plant were dried prepared in such a way that it was served as a drink, often as a bitter tasting tea. 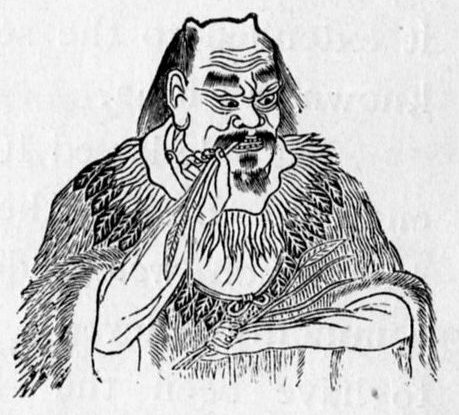 Nung believed Ma Huang worked by reversing the flow of Qi. Leaves of the plant were crushed and served in a bitter tasting yellow tea. This may actually have provided relief from an asthma attack. While Veith describes that Western medicine reached China early in the 17th century, (2) it would be another 300 years before ephedrine would play a significant role in the treatment of asthma in the U.S. and Europe, as I describe in this post. So while Ancient Chinese asthmatics may have been able to obtain asthma relief by using ephedra, the rest of the world (except for maybe Japan and Korea) would have to wait. Click here for more asthma history.